Regardless of what you plan to do with your pet gundog puppy, from lying at your feet in front of the telly or taking him shooting, the basics are the basics are the basics; and the basics apply whether that’s a Springer Spaniel, a German Short-Haired Pointer or a Labrador... more so if your gundog is indoors with you. And what are the basics I hear you ask... oh that’s easy; good manners, good obedience and a good retrieve all combine to make a gundog a pleasure to live with. That is exactly what this book is all about; starting with can I have a puppy, this book guides you through not only selecting a breeder and a puppy, but critical life stages and, just as importantly, laying down solid foundation training with your puppy to enable you to own a dog to be proud of. The Pet Gundog Puppy covers all areas of behaviour and training from the moment your puppy enters your home through to the young dog being around 8 months old and about to embark on more advanced training. 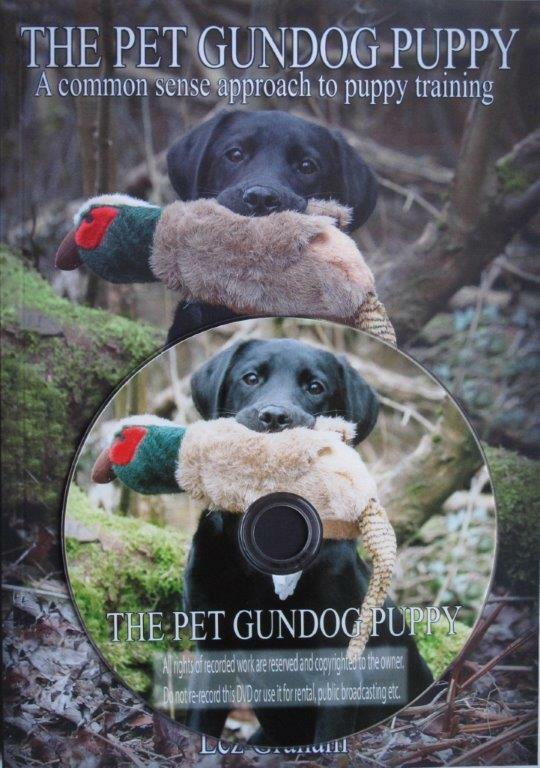 If your puppy is well on the way to being an adolescent, and by that I mean he’s four and a half months old or older, then do yourself a favour and go for The Pet Gundog rather than this book as The Pet Gundog Puppy is, as the title says, for training the pet gundog puppy. to go to Amazon to buy the book.